Most Catholics are familiar with saints such as St. Augustine, St. Francis of Assisi, and St. Patrick. 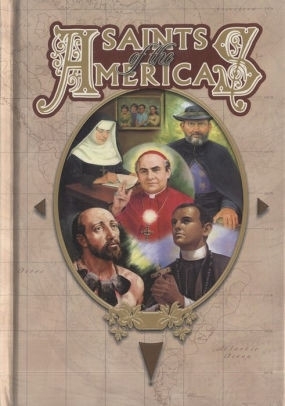 They lived and died in the Old World long before Christopher Columbus discovered America. Soon after the Nina, Pinta, and the Santa Maria arrived from Spain, many missionaries came from Europe to convert the indigenous peoples. Not as well known to most readers are the saints of the New World: North, South, and Central America, plus the islands of the West Indies. This book tells their stories.